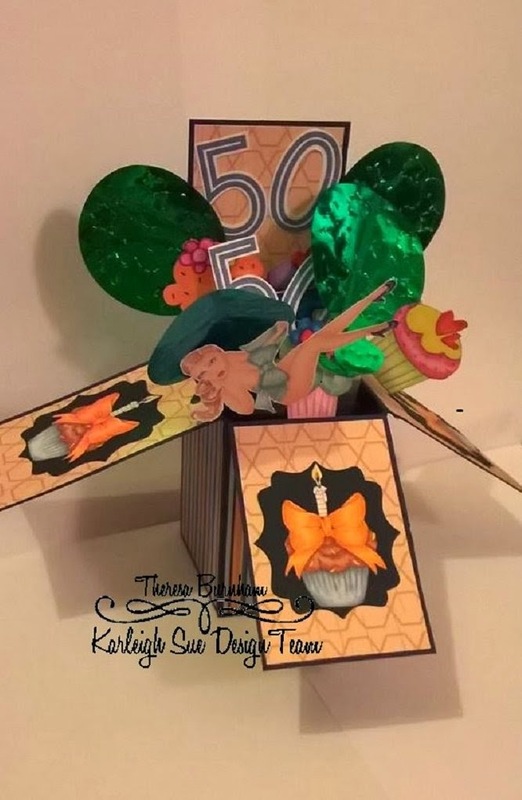 So excited to finally be able to share with you all my first ever DT post for KarleighSue. I used Gift Wrapped and Bow Cupcake. The papers came from a Papermania For Him Colossal paper pack. I coloured Gift Wrapped with Apricot, Oatmeal & Blush Promarkers for the skin. Tea Green, Duck Egg and Cool Aqua for her bow. Cupcakes were coloured with Tan, Cinnamon & Cocoa on the icing. Mandarin, Pumpkin and Amber on the bows. Cornflower, Denim & Pastel Blue on the cases. I saw this on PTT! This is Amazing!! Wow, awesome job. Thank you so much for joining us this week at TTCRD. Ahh! Here it was, your link to party time tuesday. :) It was the wrong link to the card. Thanks for joining us over at PTT in March.